Fiserv has created a fun and memorable way to reach out to sales prospects in the financial services industry. 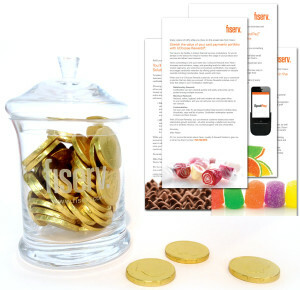 The direct mail campaign began with a filled candy jar and a candy themed message about Fiserv’s capabilities. Each quarter a candy refill package is mailed. Each mailing series ties in a new candy theme that highlights a specific product or area of expertise. Not only has this encouraged engagement, but it has also provided a great opportunity for ongoing communications. Now that is sweet!